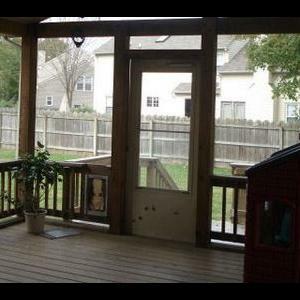 These windows were requested by Ivan137. They are found under windows for $300 each. There is the regular version and diagonal version for each. I pull textures from one of the EA windows. I hope some of you find them useful. The Gates pictured have been made compatible with OFB and are now lockable. 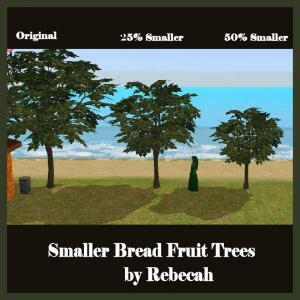 I made this request of Rebecah because I have recently begun playing with home business in a medieval challenge. I needed to keep the customers from swarming all over the family only area of the residence. These gates are some of my favorites but I was unable to lock them, now I can. 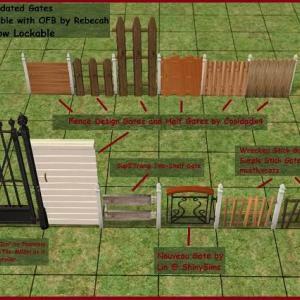 The following links are supplied for your convenience if you should want the fence to go with Rebecah's updated gates. The following links supplied to the original creator are for your convenience if you should want the fence to go with Rebecah's updated gates. I created this per a request from Marbi. Thanks for the request Marbi! 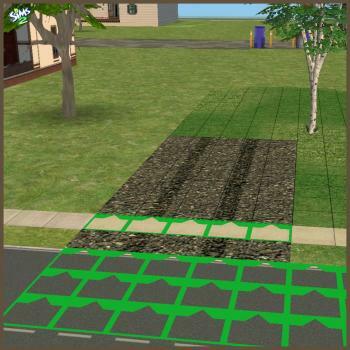 Marbi wanted a driveway that would get included with her lot creations. Driveway recolors do not attach to lots...unfortunately. I wasn't able to get the texture to stay in place, so this works like the indivisible recolor, except when you place the recolor option over it you can see my texture, which sorta acts as a template so you may color over it with terrain paint and know where the tire placements would need to be. When placing it almost feels like it didn't place, but you can check to see if it's there by using the recolor option. This is a converted file that had been done by TNW, but the file needed to be repaired, and I have added several recolors, per a request from Marbi. If you have the version by Jon please delete it and replace it with my file, (if you want the recolors to work). It is found under sculptures for $1500. Per a request from Nonni I have created a 1 and 3 tile sized version of the "FLATWOUD". Textures are pulled from the original table, so any recolors you have of the EA version, will also work with these. No expansions should be required. These were created to oblige a request made by grammapat. 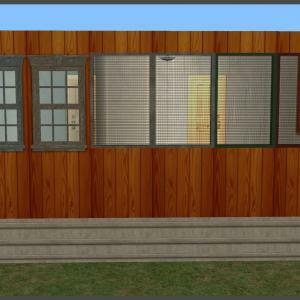 The screen border pulls its textures from EA's "Midnight Ride" window and I have included two recolors of that window for my screen windows. These are found under windows for $10. One of the images show the recolors for the "Midnight Ride" window. Thanks grammapat for the request! For those wondering about the screen walls: I am still working on them and if I resolve the issues I've found I will upload them. I do not believe these need any expansions, but I can't guarantee it. This is a post from my MTS account, which I am posting here per request from Nonni. Thanks Nonni! This door was requested by sim_plicity. Thanks for the request sim_plicity! I have included 5 recolors. Updated April 21, 2013 - The original had some holes in the mesh and wasn't lined up quite right. I believe I have fixed all of the issues. Another door from my MTS account, per request from Nonni! Thanks Nonni! 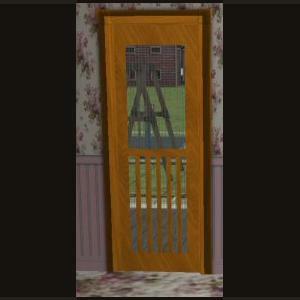 This door was requested by sim_plicity. Thanks sim_plicity for the request! 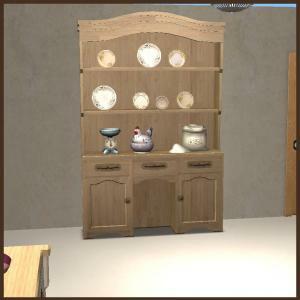 I use the repository technique for textures from the maxis Old Yankee 4 Score Door. Any recolors you have for the maxis door will work for this door. 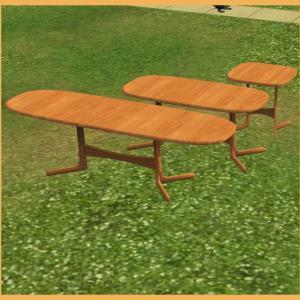 It's found under build mode door and windows/windows for $100 simoleons. I hope some of you like it. I needed some grass and thought that this shrub would produce the effect I needed for my landscaping. 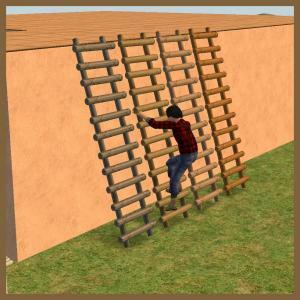 This ladder is found under Build Mode Stairs for $50, I include 3 recolors. This is a fully working ladder. Credit to Marvin for sharing her MilkShape Animations. I created these a couple of years ago for a "Native" project on MTS, I was without an internet connection for a few months and I don't know what happened to the project, so I decided to share them here. 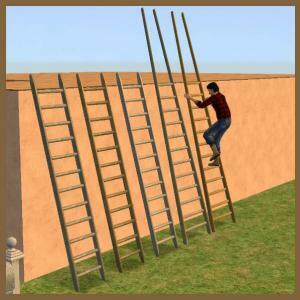 These are found under build mode stairs for 25 regular ladder and 50 for the tall Indian style, and are fully working ladders. I've added a screen door cloned from the seasons greenhouse door. New Screen Walls requested by blackde. Both items are found under gardening where the Seasons Greenhouse walls are found. For $255. One photo is the request photo. Another photo it the walls up the next is the walls down. Thank you Beck for the advice to get the gate working propperly and thank you Nonni for all the support and encouragement. I bring you two new fences ('cause technically you can't recolor a fence). They cost $10 per unit instead of the typical $100. The first fence (#4 in the rar file) is made of Hewn Stone with a Marble cap. It is a bit more stately and just right for mature Flower Gardens, Cemeteries and Manor houses. The second fence (#1 in the rar file) is my favorite, because I hunted high and low for the right texture - it is made of Rough Cedar and Weathered Iron. It is perfect for Old Churches, Castles and the like. 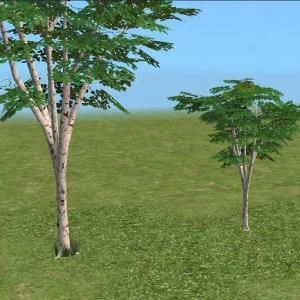 Special Note about Fences: Even though this is a base game fence, the ability to make new colors was not possible until SimPE was updated when University came out. So this fence will require one/any expansion pack in order for them to show up in your game. 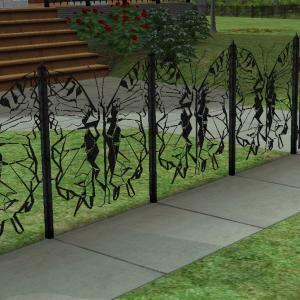 I'm happy to present you with my first object meshes Flutterby Butterfly fence and gate The polly count is a little on the higher side (5628 for the fence and 5836 for the gate) but I can use it fine in my game on my lap top so it shouldn't cause any problems in your game. 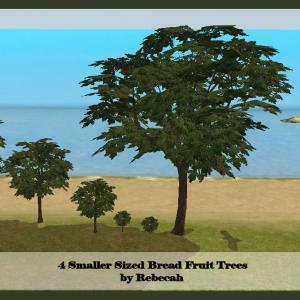 Smaller Bread Fruit Trees. All are found in the Build Mode under trees. Prices are between $125 and $50. I created these per a request from Michelle. Thanks for the request Michelle! 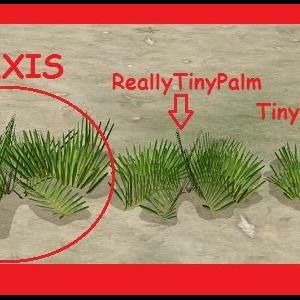 The smallest tree sells for $175 and the middle version sells for $225. I love these new flowers that I made. They will require gardening. Included is the mesh plus 5 recolors. Where I live these things grow wild, and they really do look very nice in the spring and summer time. 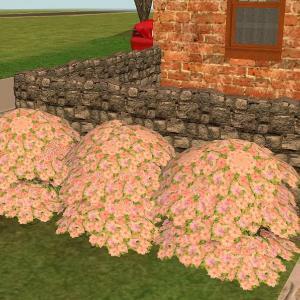 I was actually surprised because I didn't see any azalea bushes on either mts or TSR, I guess people never really wanted to make them until me. I hope you enjoy them. I finally learned how to mesh, don't ask me how I did it, but suffice to say, I got lots of guidance from a good friend. So the first thing I did, was what she wanted to work on, and that was a new tree. 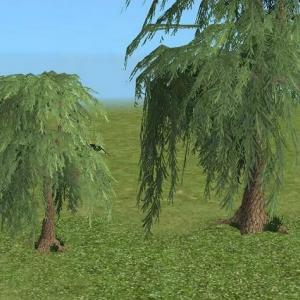 I took the base game birch tree, and made it very smaller, and took away the crabgrass at the bottom.